Engineers at Stanford University in California created a basic computer system of circuits made from carbon nanotubes rather than conventional semiconductors built on silicon. The team led by Stanford electrical engineering professors Subhasish Mitra and H.S. Philip Wong published its findings online today in the journal Nature (paid subscription required). As silicon semiconductors became smaller and packed more transistors in smaller spaces, they also became less efficient, leading to more wasted energy and heat. The heat build up required systems to add features dissipating that heat, adding to their complexity and reducing their efficiency even further. Carbon nanotubes — ultra-thin chains of carbon atoms — provide efficient conductivity and require little power, making them potential replacements for silicon-based circuits with the functionality of transistors, but without the heat. 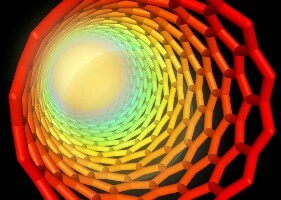 Carbon nanotubes, however, have two key problems holding back that potential: they do not grow in the neat parallel lines needed by chipmakers, and some nanotubes develop with wire-like properties where they constantly conduct electricity, rather than switching the power on and off (the purpose of a semiconductor). Earlier work developed techniques to align nearly all, about 99.5 percent, of the billions of carbon nanotubes, leaving a very small fraction out of line. But even that tiny fraction could cause errors. To overcome the problem of this small number of misaligned nanotubes, the Stanford team devised an algorithm that maps out circuits designed to work, despite the nanotubes’ alignment. This algorithm, in effect, takes the alignment issue off the table. The problem of nanotubes acting like wires rather than semiconductors had a more direct solution. The Stanford team first switched off all of switchable nanotubes, leaving only the wire-like nanotubes conducting a current. The researchers then pumped electricity with enough power to heat the remaining carbon nanotubes to the point they vaporized into carbon dioxide, leaving only the switchable nanotubes on the circuits. The team, including an engineer from the storage technology company SK Hynix Memory Solutions in nearby San Jose, built a functioning computer system made entirely of carbon nanotube circuits. 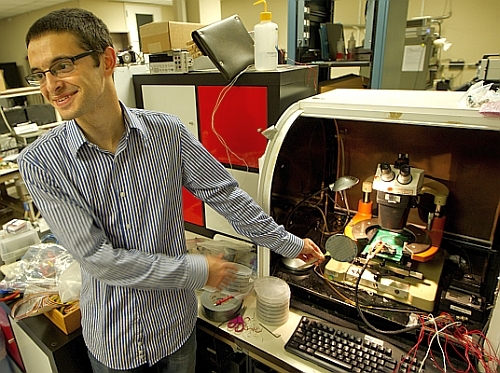 The demonstration system has 178 transistors comprised of 10 to 200 carbon nanotubes. The device runs a simple operating system capable of performing 20 instructions from a standard industry (MIPS) instruction set. The system is also capable of multi-tasking, running two programs — counting and interger-sorting — concurrently.